Indianapolis has a great Geek scene, right? I mean, we have an abundance of Geeky riches, with our conventions, our comic, hobby, toy, and game shops, and even our Geeky bands! We have bands that play music based on Star Wars, Star Trek, old video games, and hell, I’ve even seen a Labyrinth show. One of my favorites, though, is the Shake Ups. They do family friendly pop music based on pop culture, like Steven Universe and My Little Pony, with more properties being worked on right now. 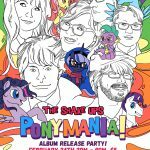 Last year, I had the opportunity to sit and talk with part of the band before the release of The Shake Ups in Beach City (Link! ), and they told me then they weren’t done with The Shake Ups in Ponyville, just yet! Pretty cool, right? I know they have at least one more video that will be premiering at the show, along with the album! I’ve heard a few tracks off the album, and it’s really good! 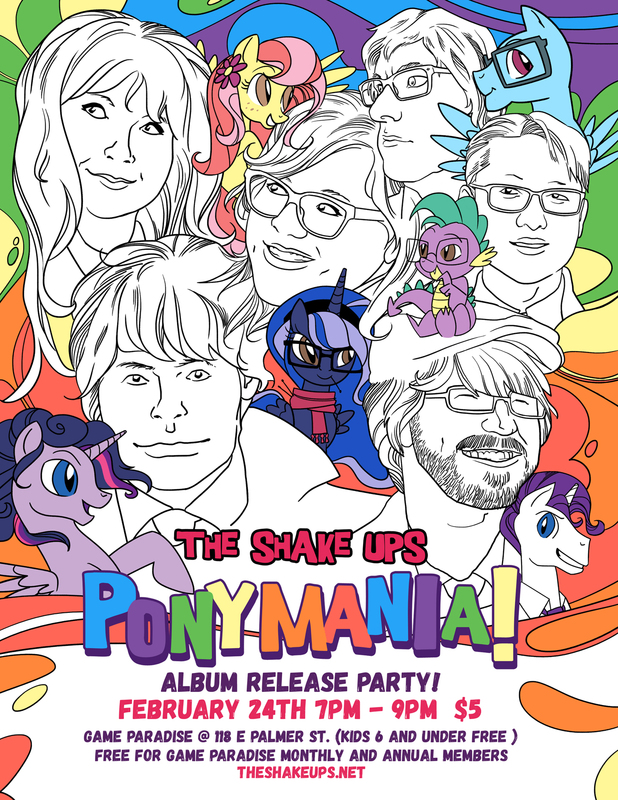 So, you definitely want to head on over to Game Paradise on Saturday to see the show, pick up the new album, and support a great local band (who just happens to be featured as the closing track on the Indiana Geeking Podcast)! The information you need to know is below! Go check out an awesome show! What is it? The Shake Ups in Ponyville at Game Paradise Filk Music Night! How much is it? $5, unless you’re a monthly or annual member at Game Paradise, then it’s free! If I can’t make it, where can I get the album? Visit their website here!